In Search Engine Optimisation or SEO, white hat SEO is the collective tactics of approved SEO that is devised to assist a website's ranking to go upwards on a search engine result page, commonly known as SERP. To learn about White Hat SEO and how it works, understanding SEO is important. Search Engine Optimisation is a repeatable process that includes tactics, techniques, and strategies that are used to increase the number of visitors to a particular website. 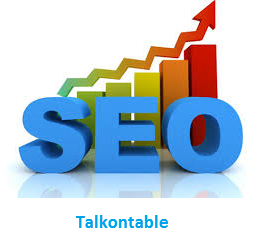 This is obtained by placing the website at a high ranking in the search results of a search engine result page (SERP). Keywords: Making sure that both the URL and the title contains the keyword. Also, at the same time, avoid keyword stuffing. There should be relevant and sufficient keywords on the page. Backlinking and Link building: Adding links and buttons will further compel a reader to go deeper into the site. Interactive: The site should also feature links that will be linked to social media accounts and enable the users to interact with other users. SEO is essentially a set of white hat SEO. Web content producers and webmasters use white hat best practices to help their website reach a better ranking in search engine result page. The most common and trusted search engine is Google. Google uses a complex mathematical formula known as Algorithm, which is used to give scores to every website and every search that people do. This further helps Google to determine the rankings accordingly. Among many parameters, to rank higher in Google a website must stand tall in being the most authoritative, the most trusted, the most interesting or interactive and the most unique. White hat SEO is the process that helps the website to fulfill these conditions and in turn, takes the website to a higher rank. Whereas white hat SEO focuses on taking the website to a better ranking using approved and ethical tactics, techniques, and strategies, the black hat SEO techniques use unethical practices to do the same. Black Hat SEO strategies and tactics focus on fooling search engines and at the same time increases the rank for the sites that are using the black hat techniques in the search engine page.